Gala Casino Review (2019) -- Can They Cut it Online? | See Our Verdict! Gala Casino recently celebrated over 10 years online after launching back in 2008. The platform is driven by Gala Coral Interactive and therefore has ties to Gala Bingo. 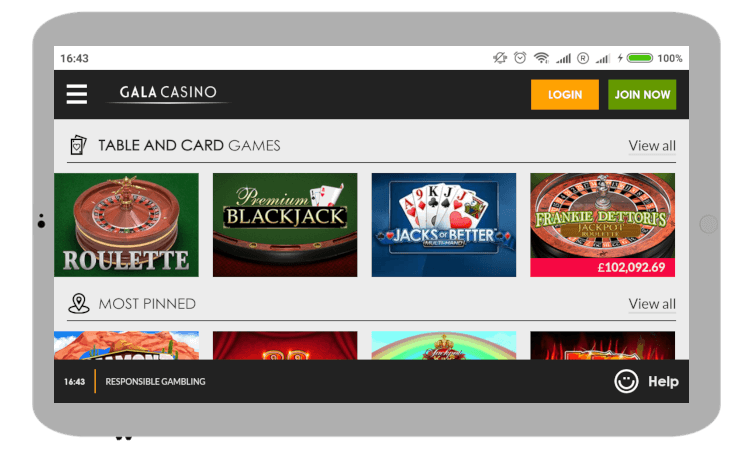 The brand was well-known across the UK for their brick-and-mortar establishments before Gala Online Casino went live. But are they as good online as they are in person…? N/A – No specific Gala Casino promo codes are in operation for their welcome bonus. Just make sure to opt-in to the offer. If you decide to take up Gala Casino’s free spins welcome bonus, there’s a decent selection of slots you can use them on. Make sure to check under the terms and conditions, but at the time this Gala Casino review went live you could use them on Age of the Gods, Furious Four, Goddess of Wisdom, King of Olympus, Prince of Olympus, Batman &The Riddler, Batman & The Joker Jewels, or Batman & Catwoman Cash. One of the most important aspects to take away from this Gala Casino review is the welcome bonus terms and conditions. x20 wagering requirements apply to the deposit + bonus (effectively, x40). You CANNOT use either Skrill, Neteller, Paysafecard or a pre-payment card for any deposit bonus. The following regions are not eligible for Gala Casino’s bonus package: Belarus, Georgia, Liechtenstein, Macedonia, Slovakia or Croatia. Aside from the irritating bonus + deposit policy, the terms here at Gala Casino are pretty standard with other sites. The only thing the Professor would like to stress is opting-in correctly and using an approved payment method. If you happen to become a regular player, there are further incentives lined up for you too. One thing that is set in stone is Gala Casino’s VIP Program. Of course, the benefits you get are second-to-none – cashback, priority withdrawals, unique bonuses etc – but these are only going to be reserved for high rollers. After that momentary blip, the Professor is keen to share details of the trusted payment providers in action here. Being one of the few PayPal casinos is a great position to be in – followed by your classic cards, Skrill, Neteller, Paysafe and more. The minimum amount you can deposit is £10 for every service provider, but remember it’s £20 for the bonus to be activated. If you win, Gala Casino will pay out anywhere from within a few minutes up to 5 working days – once the request has been approved. To break that down, all withdrawals need to be checked and cleared before they can be processed. 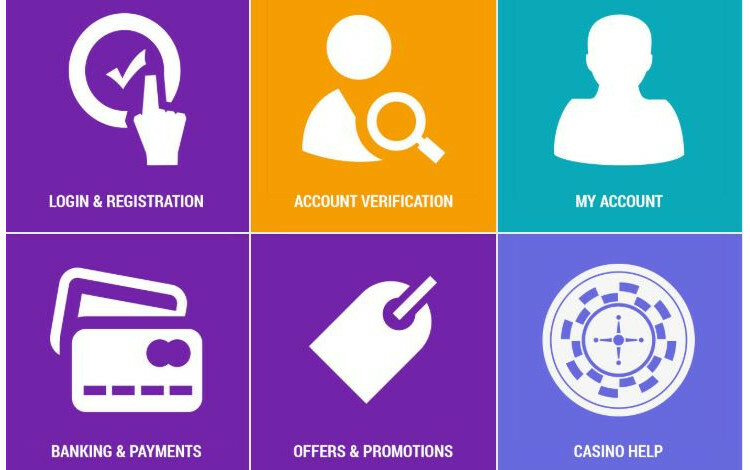 If it’s your first time, you’ll be subject to Gala Casino’s verification checks to prove your identity. Don’t worry, this is standard UKGC policy that all UK casinos have to adhere to – but it may take a few days. Therefore, unless you’re a stickler for card transactions, we recommend choosing an eWallet to facilitate payment of your winnings. But bonuses, favourable terms and fast payments wouldn’t be much good if the entertainment is poor. However, the Professor wouldn’t suggest anything with sub-standard games. As such, you can play Gala Casino slots that have been created by some of the biggest and best game developers around – thanks, in part, due to a deal with content distributor Playtech. They have video slots, table games, classic slots, and live casino covered – with fairness tests by GLI Europe. Yet, perhaps the jewel in the crown is their exclusive jackpot games which often house over £1million in total prizes. However, if you’re a fan of NetEnt or Microgaming casinos then the Professor found no trace of these providers. Again, another slight disappointment, but Gala Casino make up for it with their own Gold Exclusives slots that can’t be found elsewhere! It goes without saying that all sites these days must have mobile casinos included – but that doesn’t mean they’re good. Luckily, the Professor always sees what the experience is like on mobile, and his Gala Casino review for smartphones and tablets scores well. As you can see from the above image, the design is smooth and interface slick so you can quickly navigate around. The vast majority of desktop games are also available at Gala mobile casino, while payments and bonuses are completely mirrored. Never seen a Windows casino app before? It’s true that they’re rare – but they make gaming on desktop slightly easier. Just use the same username and password combination to begin – and benefit from push notifications if you wish. Now, there are several tiers to who owns Gala online casino. It begins with Gala Coral Interactive, who are in turn owned by Ladbrokes Coral Group, who are themselves owned by GVC Holdings. If all that makes you suspicious, the fact that the latter is listed on the London Stock Exchange should allay any fears (GVC HLDGS). This casino legally operates under Gala Interactive’s UKGC license. As you can see, there have been some recorded sanctions in the past, with an incident in April 2016 and November 2017. This isn’t the easiest reading, but at the same time it’s highly likely that the UKGC have got their eye on them for any future mishaps. To facilitate their status as one of the many EU casinos, Gala Interactive also hold a Gibraltar remote gambling license. Another useful avenue to check if you’re stuck is Gala Casino’s Twitter account replies. They’re known to post answers to questions there, plus occasional bonuses, polls and other content. We’re sorry to be the bearer of bad news but not all regions are included. Rather than list those that are exempt, we thought it’d be easier to list the eligible countries that can play at Gala Casino: United Kingdom, Republic of Ireland, Argentina, Barbados, Belarus, Croatia, Georgia, Gibraltar, Guernsey, Iceland, lsle of Man, Jersey, Lebanon, Liechtenstein, Luxembourg, Macedonia, Malta, New Zealand, Saint Kitts and Nevis, San Marino, Slovakia, and Slovenia. All-in-all, I like what I’ve seen from Gala Casino. The welcome bonus isn’t bad – and the wagering requirements aren’t anything too heavy. The games library could be upgraded with additional slots and content, and it’s true that Gala have run into problems with the UKGC in the past. However, the notoriously difficult to please PayPal have been convinced, while there is a lot of flexibility in terms of support, apps and promotions. Let us know what you think below by writing your own Gala Casino review.